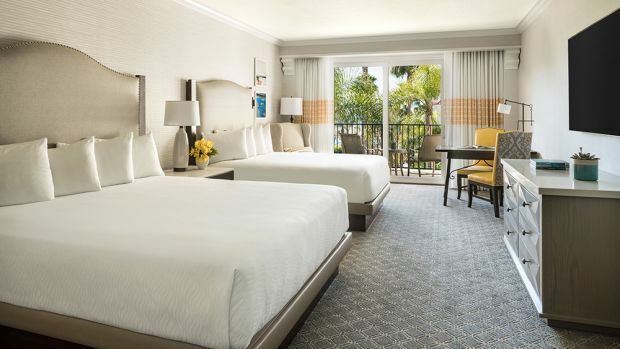 Whether one finds themselves in Orange County on a surfing adventure or on business, the accommodations on offer at Hyatt Regency Huntington Beach cater suitably to the occasion. 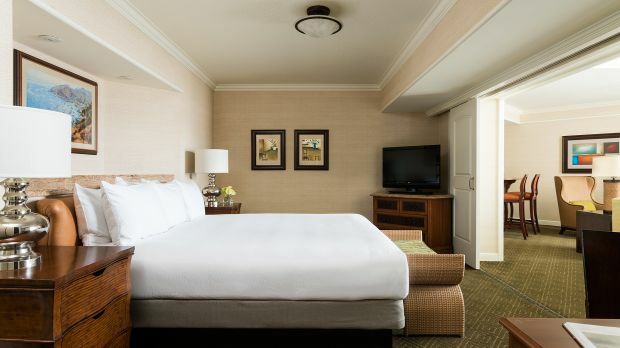 517 rooms and suites make up the hotel, each sporting pillow-top beds, plush bathrobes, flat-screen TV and iPhone docks. 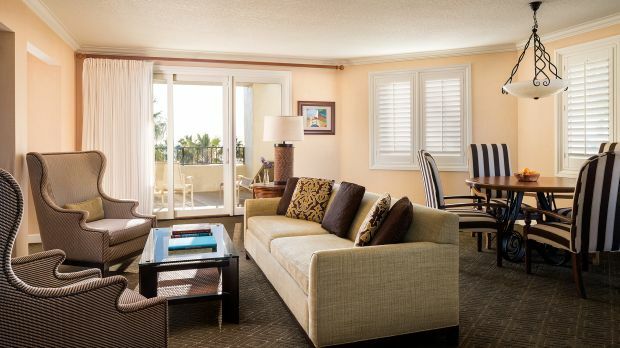 Location is a central tenet of the experience at this hotel, and the beachfront perch offers a picturesque jogging loop. 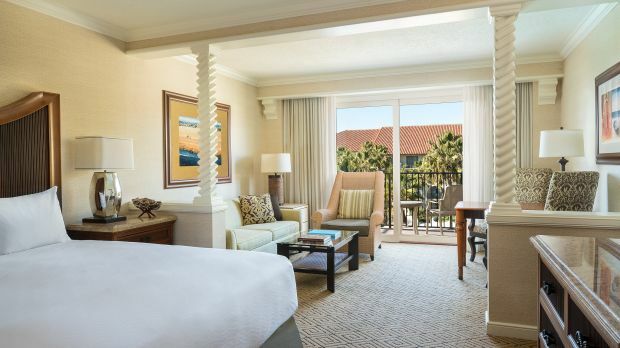 The magical experience of Disneyland is located just 30-minutes away by car (with the hotel providing a complimentary seasonal shuttle service), making Hyatt Regency Huntington Beach an excellent sightseeing proposition. Families are extremely welcome at the hotel, with a wide variety of amenities designed with younger guests in mind as well as a dedicated Camp Hyatt for children aged 3-12 (additional fee). Slyder's Water Playground is the hotel's own aquatic fun zone, complete with water slides and splash pools for the kids. There's also a shallow children's wading pool, two fire pits (perfect for roasting marshmallows) and nine private cabanas complete with flat screen TVs. If jogging seems like much too physical a prospect, lounge by the resort-style ribbon pool (one of two pools) and drink in the Pacific Ocean views. This resort is the only one in the area with a pedestrian bridge directly to the beach, too. 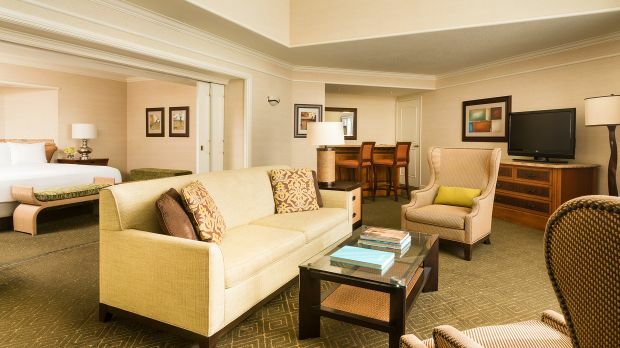 Did we mention there are five tempting dining options, as well as the convenience of 24-hour in-room dining? Pacific Waters Spa blends a relaxing Mediterranean feel with inspiration from the refreshing waters of the Pacific Ocean. This oversized oasis offers healing body treatments using organic products, a sauna, steam, waterfall showers, private whirlpools and an outdoor relaxation area. If that all sounds a little sedentary, there's also a state-of-the-art fitness center. 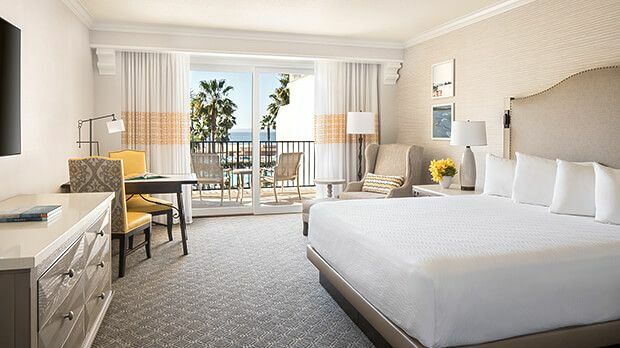 Send an availability request with your requested dates to the Hyatt Regency Huntington Beach Resort & Spa.